The essence of the entire business „Dollar Shave Club“ that is actually assigned for every man is basically the sale of shaving equipment. Dollar Shave Club exploited the hole at the market and offered the cheap shaving needs alternative to the branded razor blades. The official beginning of „Dollar Shave Club“ began by the „launch video“ start-up that gained nearly 5 million views on Youtube during the first three months almost and today it has already more than 24 million views on its account. They gained 12 000 customers during the first two days. In summer it was already 330 000 clients and in 2015 1.1 million clients. 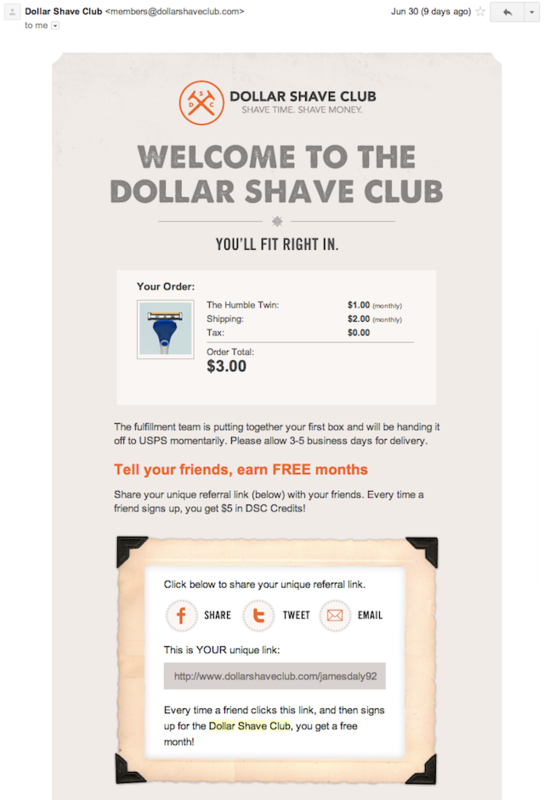 The branded razor blades and electric shavers sold in shops are expensive, but Dollar Shave Club came with the single „unbranded“ alternative which will be sent directly to your home for less than three dollars. No contracts, no hidden fees (the similarity with your bank is clearly accidental). 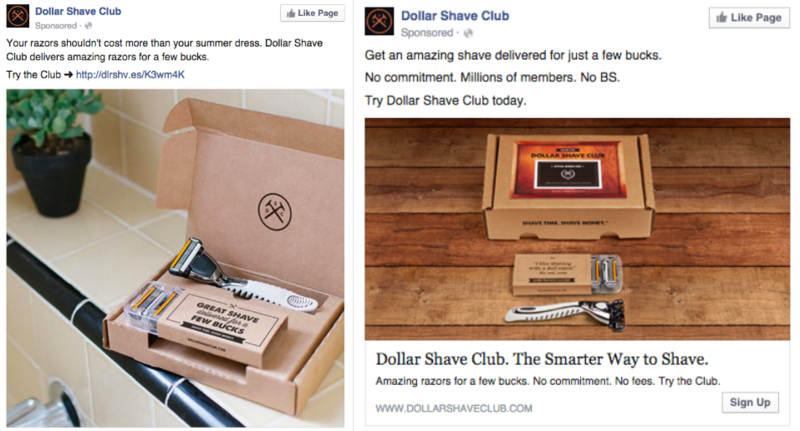 Dollar Shave Club is a young, smart and style brand. You become a club member at the moment, when you pay for the first purchase order. If you join the club, you are not only registering for a „cheap“ razor blades taking, but you invest into pleasure. 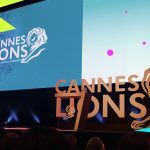 If the brand provides its customers with a positive experience that they can share either on Facebook or Instagram or they can show off to friends or colleagues, the more they will be satisfied and loyal to brand. By joining into this club you do not gain just razor blades. You become a part of community. After registration you receive the welcome e-mail, which confirms your transaction, it welcomes you into community and it provides the explanation what else you can still use and what you have available. 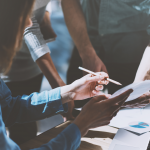 There is no news that the best marketing channel is the satisfied and devoted customer, who likes to recommend your service or product to his surrounding (friends, family, colleagues). The founder Michael Dubin stated in an interview for company CNBC that up to 50 000 satisfied clients recommend or present the product to further users. It is a simple and cost – effective, but it brings to a client the feeling of exceptionality. Another significant activity takes place on Facebook or Instagram. When members publish the photo of their monthly shipment. The administrators select the best photo, they repost it and they reward author with a T-shirt. The continual interaction of fans is ensured by this way. They try to interact directly with their fans and use at this often a humour figures, which certainly relate with product and brand. 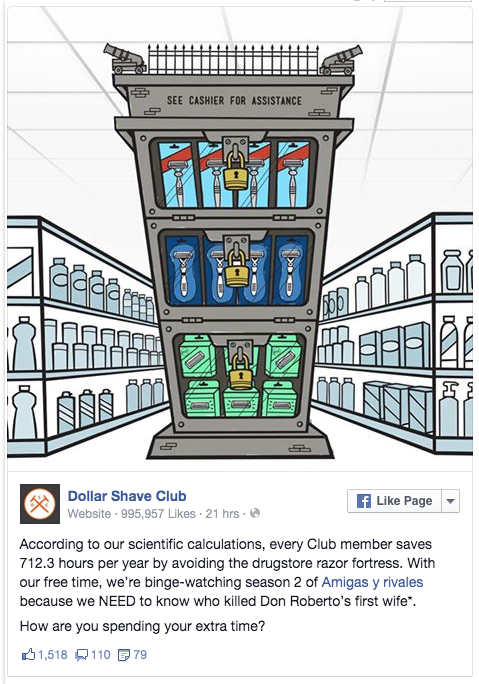 According to our scientific calculations every Club member saves 712,3 hours per year by avoiding the drugstore razor fortress. With our free time we`re binge-watching season 2 of „Amigas y rivales“, because we need to know who killed Don Roberto`s first wife. How are you spending your extra time? Fanpage admins make effort to answer to each incentive, which is written by their fans, what is often quite demanding. In this case the client Stacy complained that she placed an order six days ago and she has not received anything yet. Firstly the Admin pages reasonably warned her not to forget that holidays does not count as shipping day she can track her order also in her account page. Jessica also joint the communication and asked if it is possible to get an extra handle, because she „stole“ razor blades to her husband. Administrator answered that it is not a problem and asked her for the account e-mail and they will send her the extra handle free of cost. It is a nice demonstration of customer care. Also thanks for details as is the sending of one handle gratis it is possible to create and keep a long-term relation with client. Dollar Shave Club makes a large effort to keep of its actual clients as well as to acquire new ones. They are not only common sellers of razor blades neither any on-line club. They gave to clients something what a big competitors could not provide them – the feeling of expectionality. They try to dedicate to their clients they react on their incentives and problems. Dollar Shave Club established itself thanks to a video. I should like to put to the attention some tips as well as viral video, directly from CEO of Michael Dubin`s company. Focus on problem you are solving. Take a note of indices, which indicate what is interesting for people. Dollar Shave Club gave to the fore the common razor blades, hence it offered a cheap unbranded, but qualitatively similar alternative. Built the concept based on bases of accessing experience. The essence of services and their advantages are communicated in every second of video. It is a cheap and effective shaving. Be brief. You have to communicate all inherent, but it is important to be brief and concise, otherwise you lose the attention. Nobody wants to watch 5-minute talking about nothing. Consequently nobody wants to send further a video that he has not watched till the end. Do not provide a video for which its viewers would write the better scenario. Do not let anything for coincidence and entrust the creation of a similar video to experienced ideamakers and scenario writers. With the video you want convince and entertain a viewer, certainly not vice-versa. At the conclusion it is necessary to recall that DSC do not became famous only thanks to reasonably used virtual video. They became famous for building a community and creating a two-way relationship between the seller and client. They bet on a good product that needs in essence everyone, but they did not make from this the centre of the entire business. They focused on satisfaction of client and it assured for them continuously enlarging membership base.